Sometimes, saving money can be simple. For General Motors customers, who use the GM Card from Capital One, it’s more than that. The GM Card allows cardholders to accumulate earnings with each purchase, giving them the opportunity for its reward points to be used towards buying or leasing a new GM vehicle. GM announced last week that the company’s automotive rewards credit card has reached a new milestone, finally achieving seven million GM Card redemptions from Cardmembers throughout the country. The lucky seven millionth customer? Thomas E. Jama Sr, who purchased a 2014 GMC Terrain Denali in Elyria, Ohio. As his eighth new-vehicle redemption using his GM Card, which he’s had since 1996, Jama earned a $7,000 bonus in GM earnings. 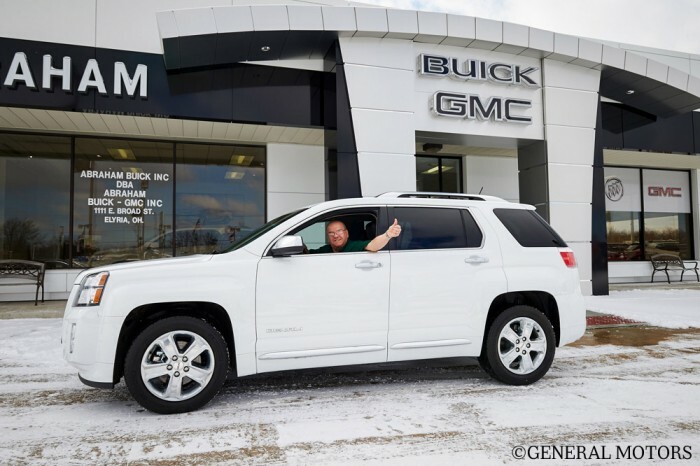 “The GM Card has been the key to putting a new Chevrolet, Buick, GMC or Cadillac in our customers’ driveways since 1992, and this is a great milestone,” said Chuck Thomson, general manager of GM Retail Sales and Marketing Support. GM and Capital One introduced the newest GM Card this past year, setting a new standard in the automotive rewards card category. Consumers earn 5% earnings on their first $5,000 worth of net card purchases every year with an unlimited 2% on all other purchases. There is no annual fee and no limits on the rewards consumers can accumulate. What do you think of the GM card redemptions? Share your thoughts below!